On April 4, 2019, we reported on the interesting Easter Egg in The Division 2, which may have hinted at what the next Assassin’s Creed game may involve. In the game, you can find a poster with a Norse ruler holding something that looks a lot like the Apple of Eden from the Assassin’s Creed games. Because of this, many were speculating that the next entry would feature vikings. But now, a report from Kotaku has more information all but confirming that this is true. Two sources have confirmed with Kotaku that the next game, code-named Assassin’s Creed Kingdom, will release in 2020 and will be set during viking times. Although Ubisoft declined to make a statement, Kotaku is a reputable source, so 2020 might very well be the year of Assassin’s Creed vikings. It’s sort of tradition at this point for Assassin’s Creed games to get leaked or teased before release, making it not too surprising that we might have just gotten a glimpse at what the next game will be. There was also a confirmation from Kotaku that the next Watch Dogs game would be set in London and is reported to release this year. 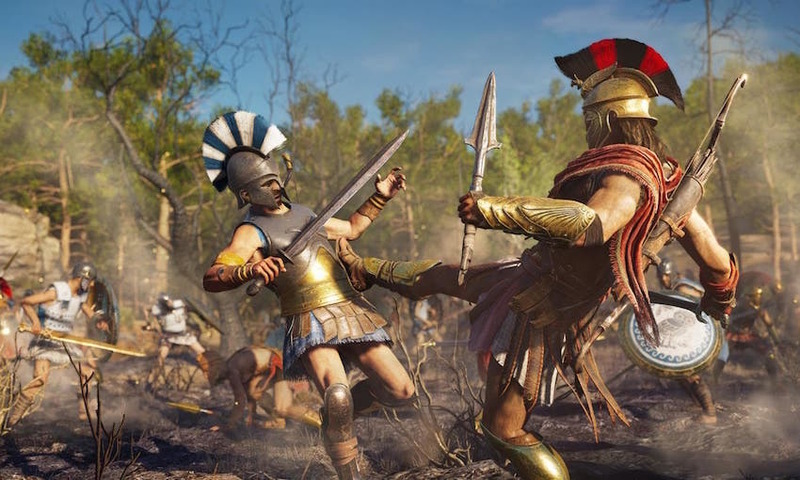 Since Ubisoft isn’t releasing an Assassin’s Creed game in 2019, the company has some more time to make sure the next installment is polished and up to the standards set by Origins and Odyssey. Clearly, skipping a year has done wonders for the series, as it really gives the team enough time to make their games exemplary. As for now, nothing is set in stone, but it seems likely that the next AC game will, in fact, feature vikings and will be set in Norse times. While that sounds incredible, the community is still holding out on an Assassin’s Creed game that features samurai. Either way, if Ubisoft sticks to what it is doing, it will probably be great.